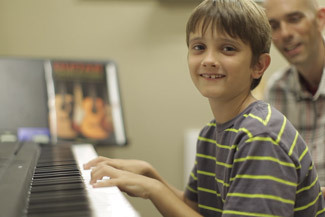 Private or In Home Lessons for the Piano, Guitar, Bass, Percussion, and Music Production. We now proudly offer in home lessons with our newest instructor Caleb Hoffman! Be sure to check out his page under the About the Instructors tab! My name is Nathan Hughes and I have been teaching music to children and adults since the late 1990's. Sight-reading, ear training, and music theory are the basis for my teaching techniques. I specialize in teaching lessons that are fun and exciting! It has been shown that students achieve more when lessons are not only engaging and challenging, but also fun and exciting! I am committed to you and your goals. Whatever your goals are - playing in a church, school, or garage band, professionals who want to expand their knowledge of theory, or someone who simply wants to learn to play an instrument for their own enjoyment - I can help. My education, combined with my experience in teaching and performing, has given me the ability to work with every age, style, and skill level. Schedule a lesson. I’m confident you’ll be glad you did! . "Nathan’s knowledge of music theory and his talent for teaching have been a huge help to my playing, even as someone who has worked as a professional in this industry for many years." Can't come to us? We'll come to you. The Hughes Music Company now offers in home instruction for your convenience! 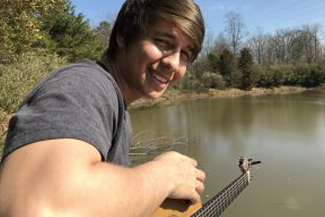 We are proud to offer in home lessons for percussion, acoustic guitar, and singing/songwriting producing with our newest instructor Caleb Hoffman! For those living in Charlotte or the surrounding areas, I offer traditional private studio lessons. 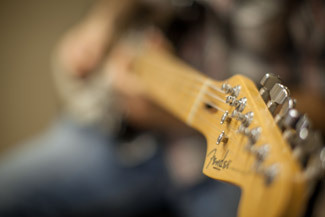 Private one on one instruction has long been proven as the most effective method for learning to play a musical instrument. If you've never taken private music lessons before, you want more information about policies, or if you just want to know more about me and my teaching philosophy check out our FAQ Page.